Trade Centre we also have a hire service available for certain size Rubi manual cutters. Please feel free to Contact us for availability and prices or pop in store to say hello as we are always happy to help. Here at CTD Kingston Park, we have a staff team of three, myself Carl Scott - Branch Manager, Ian Willshire - Assistant Branch Manager and Tom Yeadon - Showroom Assistant. Between the three of us, we have over 30 years’ experience in selling to the trade & public, both in construction & tiling. I have also had a lot of experience in fitting tiles, so have practical knowledge. So any questions, advice, I’m sure we’ll be able to answer most queries & if we can’t, we will try our very best to get the correct answer or advice. Assistant Branch Manager Ian is also a Rubi specialist so if you have any Rubi enquiries; he’s the man to ask! Ian also provides a Rubi manual cutter maintenance service, so if you have any new/old machines that need work, he can try and fix it for you. Showroom Assistant Tom is our newest member of staff, originally from Bradford, (which we don't hold that against him!) Tom started with us in May 2018. 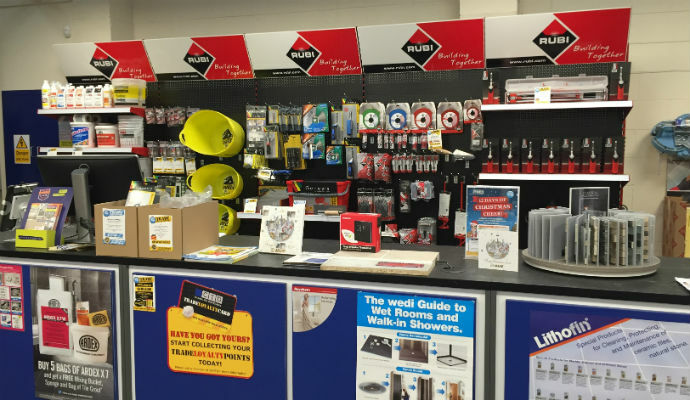 CTD Kingston Park offer you a friendly welcome and handy opening times for the trade, with most stock available and quick service time! Kingston Park is a suburb of Newcastle upon Tyne largely built in the late 1970s and early 1980s and is about 4 miles (6 km) north west of the city centre. It is home to several large retailers, the largest being one of Tesco's flagship stores—at 11,055 square metres (119,000 sq ft) which was also the largest supermarket in the United Kingdom for a period of time. The area houses the Kingston Park Stadium, which is home to the Newcastle Falcons rugby union team, and also hosts the home football fixtures of Newcastle United's reserve team. Some of famous rugby players to play for the Newcastle Falcons were Jonny Wilkinson, Nili Latu, Rob Andrew, Charlie Amesbury, Gareth Archer and Gary Armstrong. 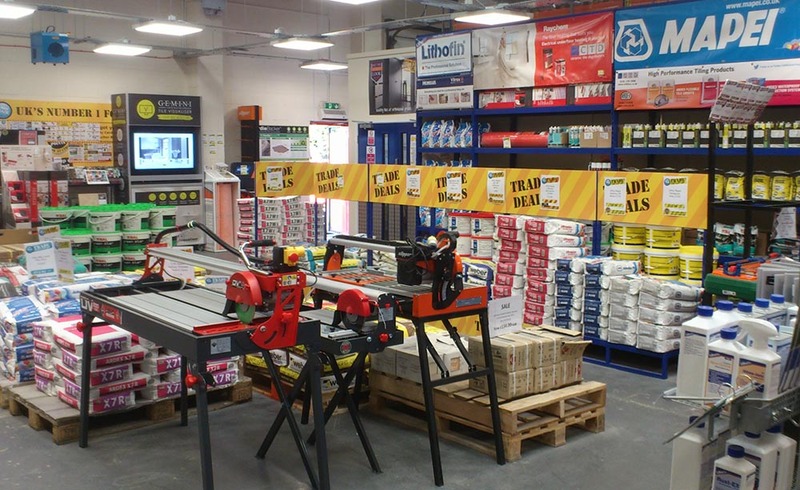 CTD Kingston Park hosts a variety of fun-filled trade events including product demonstrations from well-known brand representatives, competitions, offers and much more. 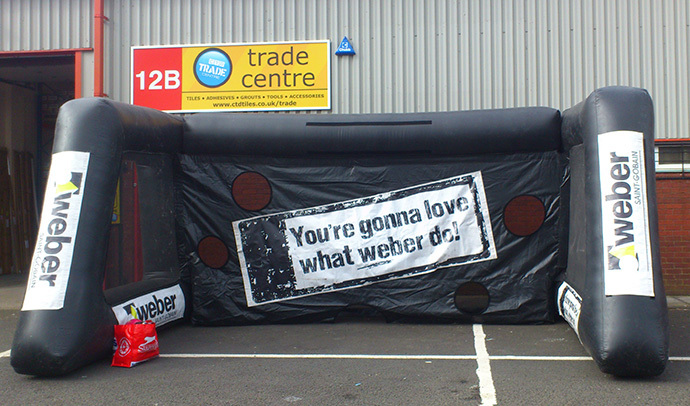 Most recently we held a Weber inflatable goal competition which went down a treat. Watch this space for exciting trade events coming soon to CTD Tiles Kingston Park. 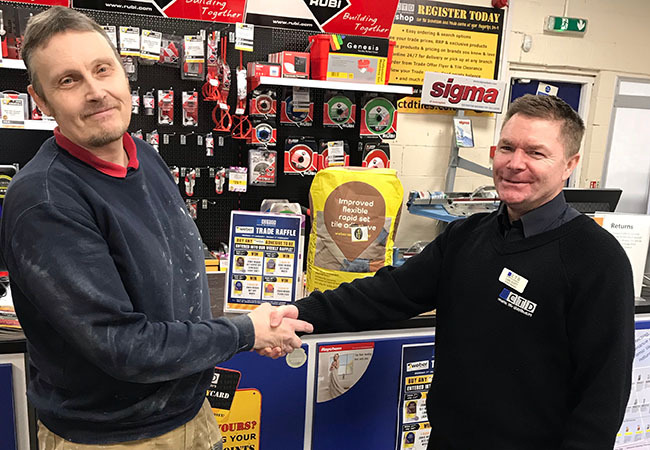 Weber Raffle Winner Barry Short collecting his prize of 5 bags of Weber adhesive. Look out for more competitions coming soon. 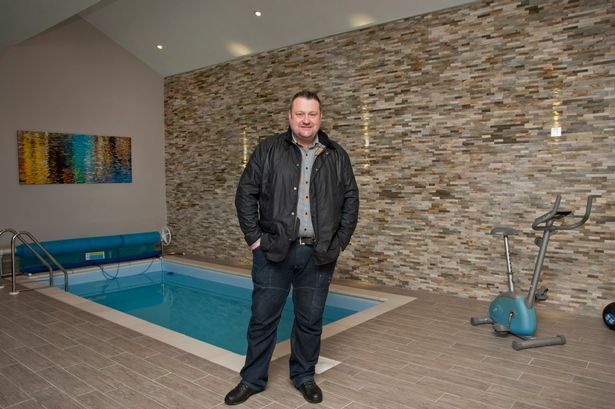 We are proud to have supplied Steve Ainsley with a number of tiles and products in which he used to carry out his recent swimming pool project as seen in The Chronicle - An increasingly popular job within the north east despite the freezing cold temperatures. CTD Kingston Park is the place to be for tilers who are looking for technical advice, variety of products and fantastic offers. 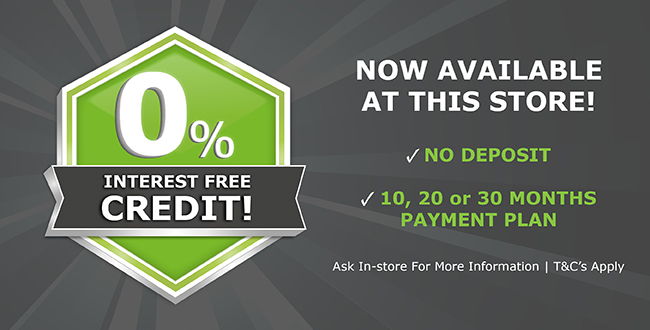 Feel free to pop in store and a member of our team will be happy to help you with any tile queries. CTD Kingston Park has recently sponsored local football team Newbiggin Hall under 15’s (NHJFC) for the next two seasons and will play with the CTD logo on their home & away strips. After a fantastic season last year, the FA Charter standard club Newbiggin Hall under 15’s team came a respectable 2nd place in the league, winning themselves a cup for their trophy cabinet. This year Newbiggin Hall U15’s are currently at the top of the league after winning 11-0 in a recent cup match. For more information please feel free to ask in branch and a member of staff will be happy to help. Newbiggin Hall under 15’s WIN THE LEAGUE! 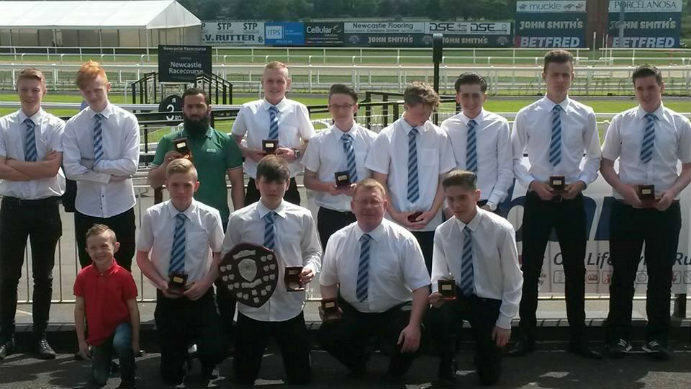 CTD sponsored team, Newbiggin Hall under 15’s (NHJFC) have won the league title! After finishing 2nd in the league last season they came back and fought hard for a 1st place finish. Congratulations to all the team and staff at the club, it was a well deserved victory! "This store has a large selection of good quality tiles. we have bought from them several times now and always been very pleased with both the quality and the value for money of the products. 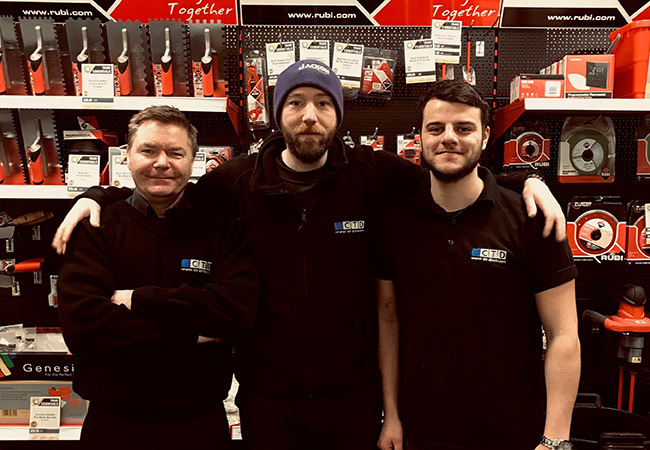 Although there are a few CTD stores local to us, we always go to Kingston Park because Carl and Ian offer outstanding customer service, help and advice. This week Carl worked for a good 30 minutes after the shop had officially closed to source what we wanted and get that stock to us when we needed it - not a simple process as the stock was held in London. He dealt with the logistics with patience and good grace and he ensured we were not out of pocket as a result. Service the way it used to be. Highly recommended."